SANDY CURRIE, beloved husband of Donna Currie of Diamond City, AB., passed away at the St. Michael’s Palliative Care Center on Monday, February 18, 2013 at the age of 76 years. Sandy was born August 9, 1936 at Central Butte SK to Charles ad Mary Currie. He worked at various jobs before marrying Donna in May 1968 and settling in Lethbridge, Alberta. 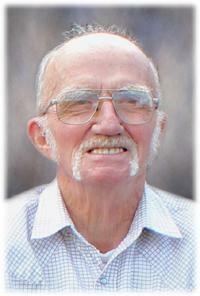 He owned and operated Currie’s plumbing and Heating for several years. He then worked in maintenance at the Lethbridge Lodge hotel for 12 years until finally retiring. Sandy enjoyed woodworking and craft carpentry as his hobby to fill his retirement days. He enjoyed his family and his yard. He took great pride in his accomplishments. Sandy was always a great Mr. Fix-It. No project was too big or too small. He was an animal lover lavishing care on his furry friends. He is remembered by his wife Donna, daughter Tracy (Rob) Kolsza and son Trevor (Sarah) Currie, granddaughters Ayla, Taneil, Keelyn and Addisyn, grandsons Teague and CJ, sister Peggy (Alan) Vevang as well as several nieces and nephews. A Celebration of Life will be held at CORNERSTONE FUNERAL HOME, 2800 Mayor Magrath Drive South, Lethbridge, AB., on Friday, February 22, 2013 at 1:00 P.M. with Reverend Terry Shillington officiating.